Abdullah said in Azam Khan's speech, there was no mention of any name or gender, yet he was barred from campaigning. 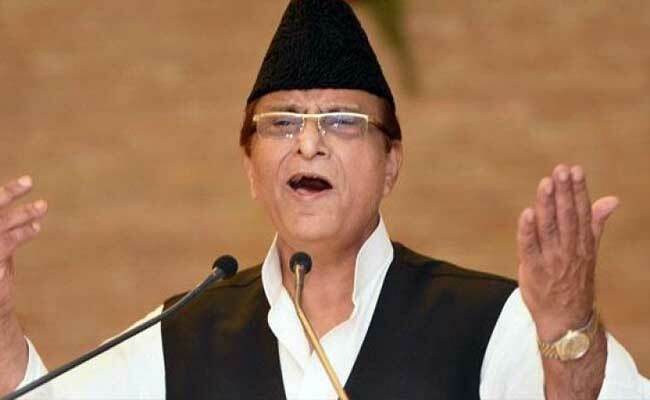 Abdullah, the son of Samajwadi Party leader Azam Khan, has taken strong exception to the Election Commission's 72-hour campaigning ban on his father over his controversial comment against BJP candidate Jaya Prada. According to him, the harsh action against his father was taken because he is a Muslim. "No action was taken when the BJP candidate (Jaya Prada) stated on Twitter that she is coming to Rampur to bring an end to the regime of a demon," Abdullah was quoted by news agency PTI at a press conference. "But in (Mr Khan's) speech, there has been no mention of a name or gender, Azam Khan has been banned only because he is a Muslim," he added. Mr Khan, the Samajwadi Party candidate in Rampur, had made a controversial remark against his rival Jaya Prada--the BJP's candidate in the city. "For 10 years the person sucked the blood of Rampur, I held that person's finger and brought the person to Rampur. I made her familiar with the streets of Rampur. I didn't let anyone touch her. No dirty words were used. You made the person your representative for 10 years. Hindustan waalon , uski asliyat samajhne main aapko 17 baras lag gaye (understanding the person's real face you took 17 years). I realised in 17 days that the underwear beneath is of the khaki colour," Mr Khan had said in a rally. His comment had elicited nationwide outrage, following which the poll body clamped a 72-hour campaign ban on the leader. Jaya Prada, a former Samajwadi Party parliamentarian from Rampur, had alleged that she was forced to quit the city due to harassment at the behest of Mr Khan. After his comment, however, she vowed to fight him. Abdullah also alleged that the ban on Azam Khan was ordered to counterbalance a similar action against Uttar Pradesh Chief Minister Yogi Adityanath, BJP's prominent Hindutva face. Yogi Adityanath was banned for 72 hours by the poll body for his "Ali-Bajrangbali" comment he made recently to attack Bahujan Samaj Party chief Mayawati, who was also censured.